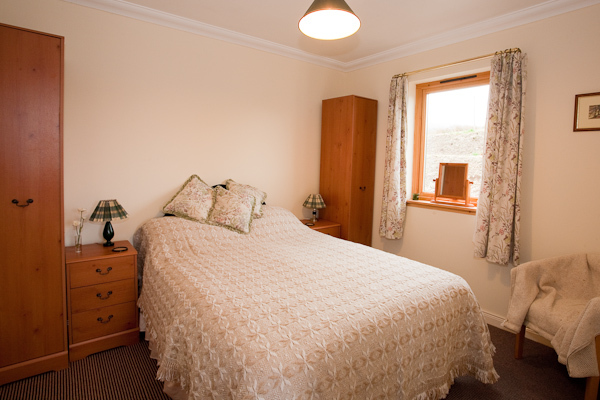 Whigmaleeries Self Catering apartment is on one level and comprises of Living / Dining / Kitchen area, double bed and seperate shower-room. 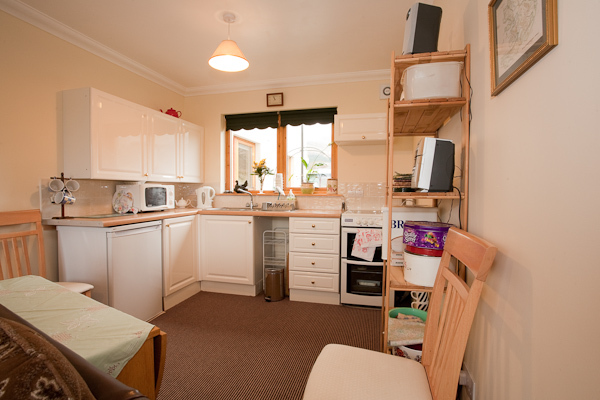 The well equipped kitchen has an electric 4 ring double oven cooker, microwave, fridge, toaster, kettle and all the necessary pots, pans utensils etc along with ample cupboard storage space. 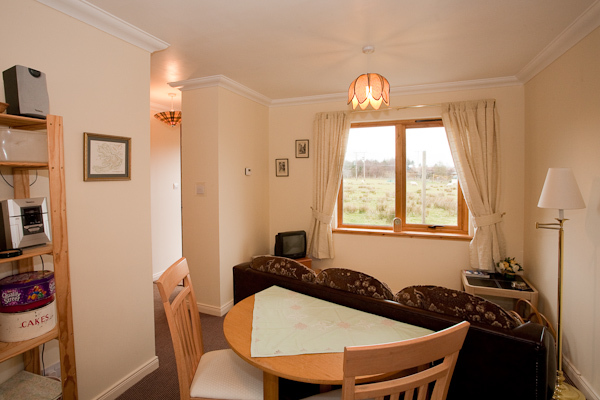 The Living area has extensive views toward Morvern and the Sound of Mull. There is a television with Freeview, CD / Radio Player, Settee and Coffee Table. There is a private entance hall with boot store and hanging space. The Double Bedroom has a comfortable double bed with views to fields and hills at the rear of the property. Linen is provided for the week, though towels are not included. 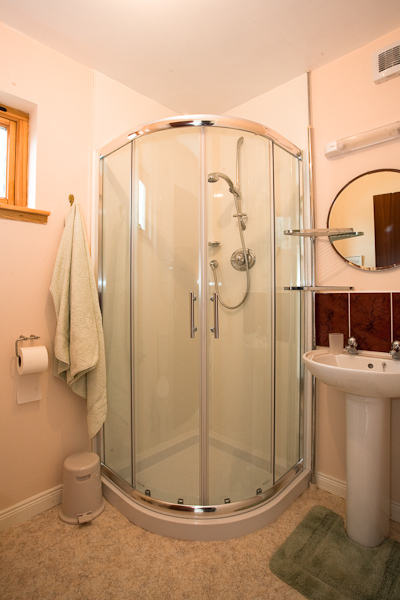 An airey shower-room has toilet, wash hand basin, electric shower and shaver point. Outside there is private parking and a seating area. Available from 4pm Saturday to 10am Saturday Prices include all heating and electric, see our Self Catering Prices page for weekly rates and further information. A £ 75.00 non-refundable deposit is required to secure your booking. The balance to be paid 6 weeks prior to arrival. All payments by cheque payable to A N Robertson please. Whigmaleeries is strictly Non-Smoking. As we are aim to be a "green" family we encourage our guests to use our recycling facilities whilst staying with us. For further deatils or discuss your requirements please contact us, details below.